Kiersten Erickson is a senior at the University of Utah, studying vocal performance. 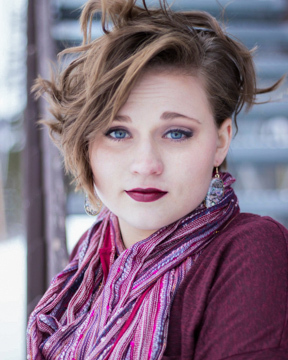 She has had many wonderful performance opportunities with the UofU Opera, and is branching out to more professional work- most recently as soloist in the Sterling Singers Christmas concert this last December. This coming spring she will be performing as a Trio Member in Leonard Bernsteinʼs operetta Trouble in Tahiti with the Lyric Opera Ensemble at the UofU. And in March, alongside the Utah Symphony Chorus she will sing in Bernsteinʼs Chichester Psalms, and Stravinskyʼs “Symphony of Psalms.” She is excited to graduate this spring and see where life takes her. Singing is her passion and greatest love, and she is so excited to be performing Green Eggs and Ham beside her mother, and dearest friend.